After learning that I was to write a reaction paper to either “Fifty First Dates” or “The Notebook,” I decided to choose both films instead to better peak my curiosity in two stories. I remember the former movie quite well while the latter only an inkling of what it is about. Indeed I was delighted to know both movies similarly dealt about a mental ailment that deteriorates memories. What is even more intriguing is how the protagonist in both movies defies what is scientifically proven just to save their love companions from the dreadful fate of being lost in their own mind, oblivious to self and others. 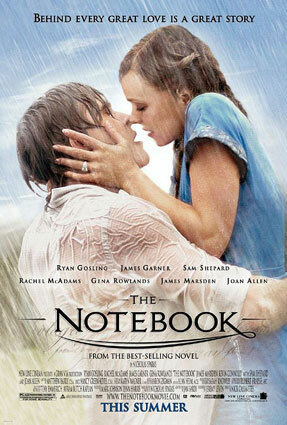 The Notebook starring James Garner, Gena Rowlands, Ryan Gosling, and Rachel McAdams. On the other hand, the Fifty First Dates tells of a happy-go-lucky man Henry Roth who is smitten by a beautiful woman Lucy Whitmore he met at a diner. But the next time they meet each other, Lucy acted like she has never seen Henry before. It transpired the she had lost the ability to gain short term memories, hence she forgets anything that happens around her the day after. This however didn’t dissuade Henry to give up on her. Instead, he believes Lucy must be free of the confinement of daily repetitions she is not aware of until it is late. He suggests instead letting her watch a home movie that narrates what has become lately to keep her informed for all those she lost after sleeping. The movie enables Lucy to move on and even have “first dates” with Henry. All this effort resulted to Lucy remembering at least a glimpse of Henry in her dreams. 50 First Dates starring Adam Sandler and Drew Barrymore. Both movies try to tell us what precious memories and values are lost once a mental ailment hits a person we love. The male lovers, backed only by sheer determination and blind belief, ignore the reasoning of science for they just know their lost women are still in there, only trapped within their minds. Recalling their romantic past through reading a notebook or watching a video log is what triggers the lost to come back. All those invaluable moments in the past is what fuels them to recover what is gone even if it only lasts for a short while. Old Noah may be frail and helpless while Sandler seems irresponsible, but all these are ignored once constantly stricken by their affections for their love companions. Noah has never given up until their death in reading to Allie their past lives. Meanwhile, Sandler has stopped being unreliable as he takes care of her would-be wife every passing day. Physical appearances don’t mean much when you discover the inner traits and wholesome desires of a person. Even more outstanding is their undying love for them, in spite of knowing that one day all their efforts will mean nothing once the ailment becomes too severe for recovery. The central theme in both movies, having used mental illnesses as a major element, is how we should cherish moments from the past, present and even those yet to happen. Alzheimer’s disease and memory loss are only a few of many threats to couples whose union can be so easily severed. This indicates how we should prepare ourselves for the worst, hence to plan ahead. Love is insignificant when you don’t know how to make it last for a lifetime.